We put the Golden Rule to work for you, providing the most honest and hassle-free cross country relocation possible! Whether you’re moving at the request of an employer or for personal reasons, moving out of state is much more than a relocation of your belongings. It is a major life event that can be stressful enough without dealing with the countless details involved in any relocation. At Upline Moving, our family-owned business provides full service solutions for household moves of all distances and sizes. We are BBB-accredited and certified ProMovers with the American Moving and Storage Association, but more importantly, we are an established company with a reputation for honesty and a dedication to delivering an exceptional customer experience. In the Bay Area, nationwide movers are easy to come by, but few uphold the same level of quality service offered by Upline Moving! For a nationwide moving company you can trust, we hope you will consider Upline Moving. 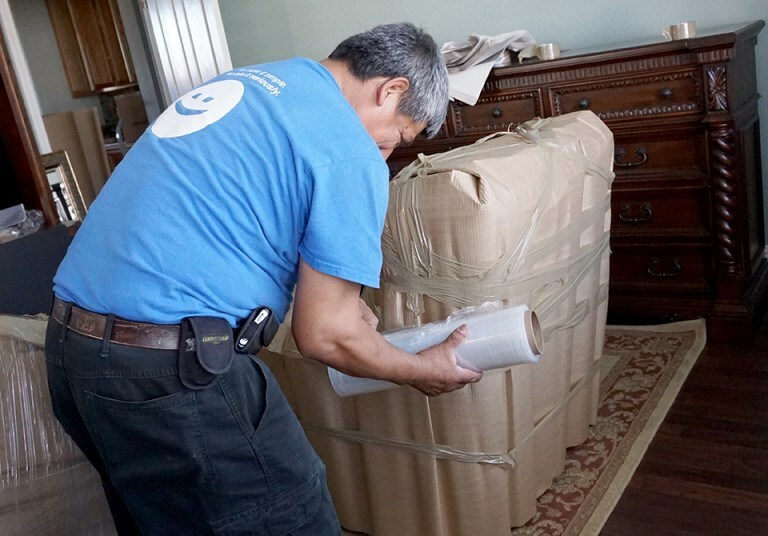 Since 2008, our qualified team of expert packers and drivers have delivered safe and streamlined relocation services. We tailor our services to fit the individual needs and moving challenges you might face. Do you want full-service packing? We’ve got you covered! Are your moving fragile items or belongings of sentimental value? We treat your household like our own. Honest Pricing: We take a detailed inventory of your items and provide you with an up-front rate that will not change; no hidden fees ever! Quality Equipment: Using clean moving equipment and quality packing materials, we ensure your belongings are well cared for each step of the way. Courteous Service: Our movers are dedicated to providing Golden Rule service, which means we treat you just the way we’d want to be treated. Secure Storage Options: Long distance moving and storage go together, and we are proud to offer flexible and secure storage for completing your move with ease—including 30 days free of charge! Learn More About Our Bay Area Nationwide Movers! If you have questions about the cross country moving process or how our Bay Area residential movers can accommodate your individual relocation needs, call Upline Moving today to speak with a friendly and knowledgeable member of our team. You can also get started by submitting our simple online form right now!